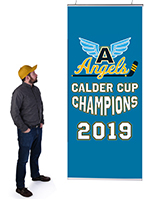 Online Sign Supplies In Stock Now! 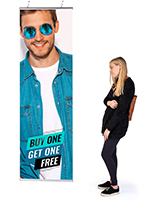 These Sign Supplies Suspend Posters from the Ceiling! Wholesale Company Sells Sign Making Equipment Online Cheap! For a dramatic look, use these sign supplies in your retail store, professional office, hotel lobby, hallway, or art gallery. 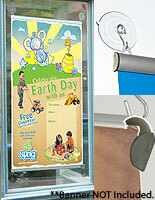 These online sign supplies for sale in bulk or individually make it easy to change graphics with their snap open rails. 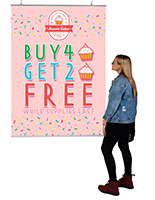 With the ability to hold 27" wide posters, these sign supplies are ideal movie poster displays. A part of our low-priced, high-quality collection, these sign supplies are available in a variety of sizes. 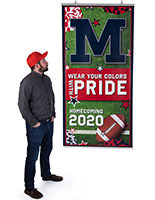 These sign supplies, poster frames, are perfect for 27" x 41" graphics. 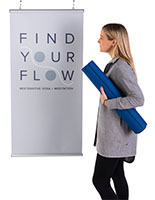 Much like sign hangers and banner rails, these sign supplies allow for the display of several posters throughout an establishment – even when no wall is available! 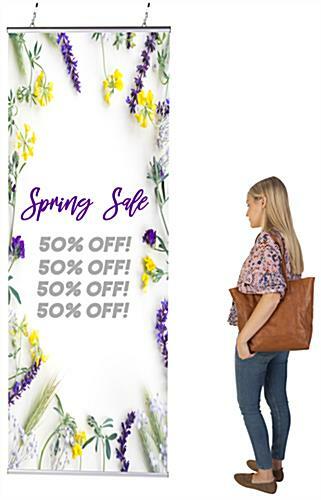 Spring-loaded top and bottom rails hold your displayed graphic tightly in the frame, while providing the weight needed to ensure the poster does not warp or curl. 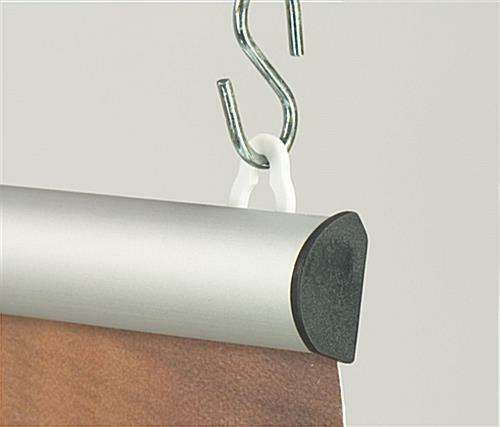 This sign supply includes a stop banner rail made with two (2) transparent plastic adjustable eyelet clips and the bottom rail. 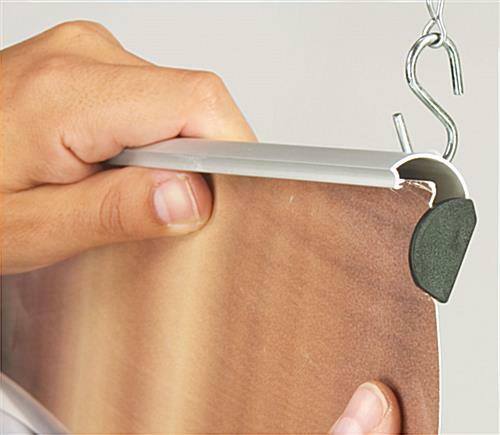 Buy sign supplies in bulk today and create a maze of hanging signs in your retail spaces! Dimensions of each rail: 27" wide x 1" tall x 5/8" deep.